Ocean view, with 1172 sq. 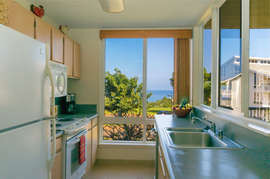 ft. of living space, including one bedroom and two full baths at Cliffs 5205. Enjoy private ocean view lanai. Bedroom with king bed, additional queen sleeper sofa, it accommodates 4 people comfortably. Full kitchen, in-unit washer and dryer. This condo truly feels like a home. 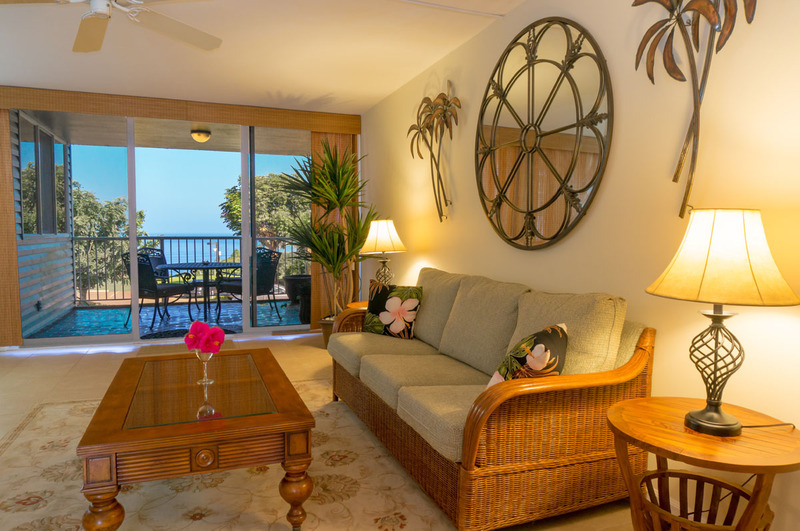 Enjoy the Cliffs' great amenities including pool, Jacuzzi, tennis courts, bocce ball, putting green, children's playground, country store, bike rentals, and more. 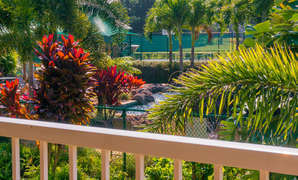 The Cliffs Resort is located in Princeville on the north shore of Kauai. Enjoy a spacious 22 acre setting with a spectacular oceanfront location and numerous amenities. 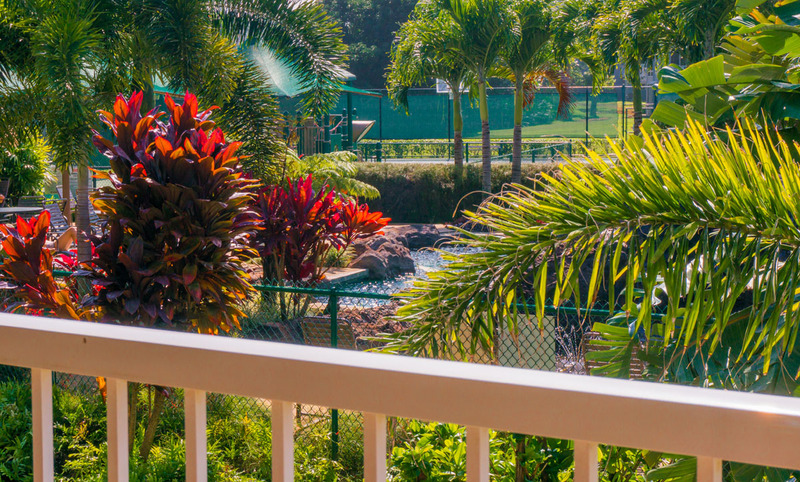 Guests at our condos share all that the Cliffs Resort has to offer: swimming pools, jacuzzi, tennis, practice putting green, volleyball, playground, shuffleboard, oceanfront BBQ gazebo, an activities director, discounted golf packages and a convenient path to a lava swimming hole. On-site activities include Ocean Bluffs Yoga, lei making, hula lessons, basket weaving classes, botanical tours, a small Wednesday farmer’s market, Music on the Bluff, and more. The Cliffs Resort has recently completed a major renovation creating a beautiful, tropical, top-notch resort environment.